Today we are releasing our Public Beta 1 of Black Lab Education Desktop 6.0.1. 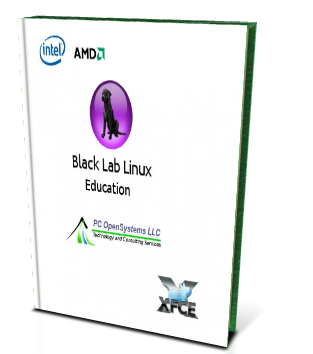 Black Lab Education Desktop 6.0.1 is a revolutionary new design of the Black Lab Linux desktop for education environments and is tailored for those environments. Based on the same technologies that make up our Black Lab Professional Desktop series we offer the same longevity and support that our enterprise customers have come to expect. Black Lab Education Desktop 6.0.1 is supported by us until April 2022. The feature set for Black Lab Education Desktop 6.0.1 is unique among other education based distributions. We offer features for K-12, Pre-K as well as college level environments meaning that no matter the level that you teach, you have the same featureset, power and customization options that enterprise customers and Linux enthusiasts have come to expect. So here is the package lineup for the Public Beta of the Black Lab Education Desktop. 1. GNOME3 – Our heavily customized and lightweight functionality that Black Lab Linux 6 users have. Among these all security updates up to Oct 27, 2014 have been applied. Black Lab SDK 1.8 is fully compatible with this system as is Google Chrome and the Opera Web Browser. Our goal by offering a public beta is to continue to provide the best of breed education based distribution and we hope you guys will help us do that. You can download the Public Beta from our Sourceforge Page but do keep in mind that it is 2.5 GB's to download. You can also purchase a copy if you are bandwidth restricted for $35.00 + Shipping. Black Lab Education Desktop will also be available pre-loaded on hardware and upon request on preloaded hard drives by certified education facilities.